Paint a picture in your head of narrow roads, lined by palm tree upon palm tree. Add some boats and some fishing nets together with the occasional hammock. Add rice paddies, buffaloes, herbs and vegetables. Now how about adding in a culture that you probably know very little about. 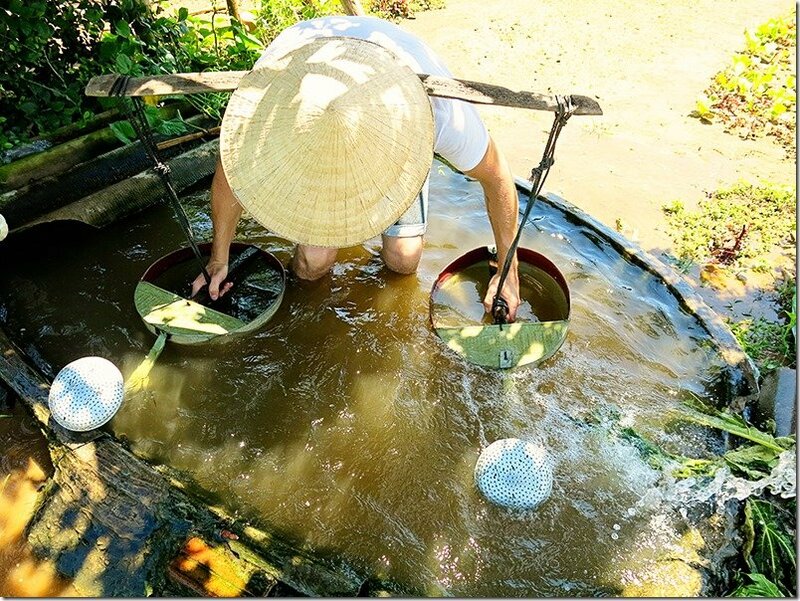 This was how we experienced our exploration and adventure through the local villages found in the Hoi An countryside. 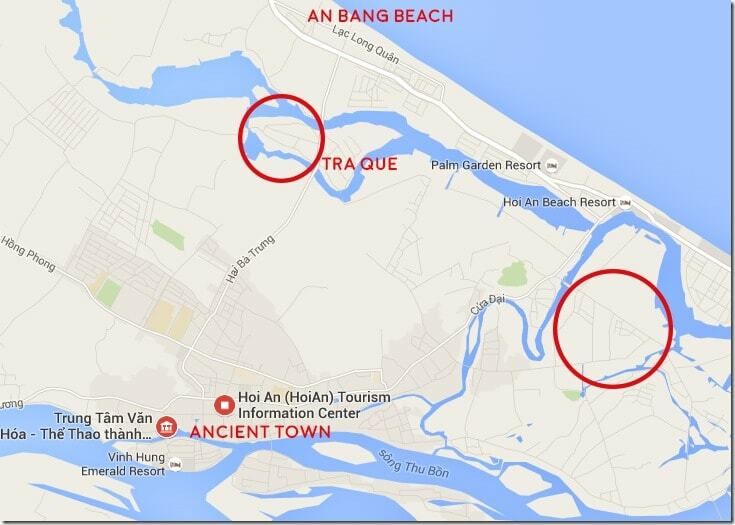 After exploring the Hoi An Ancient town, we started wondering about other things to do around Hoi An. We had already visited most of the touristy Hoi An sights as well as spent some time at two of the Hoi An beaches. 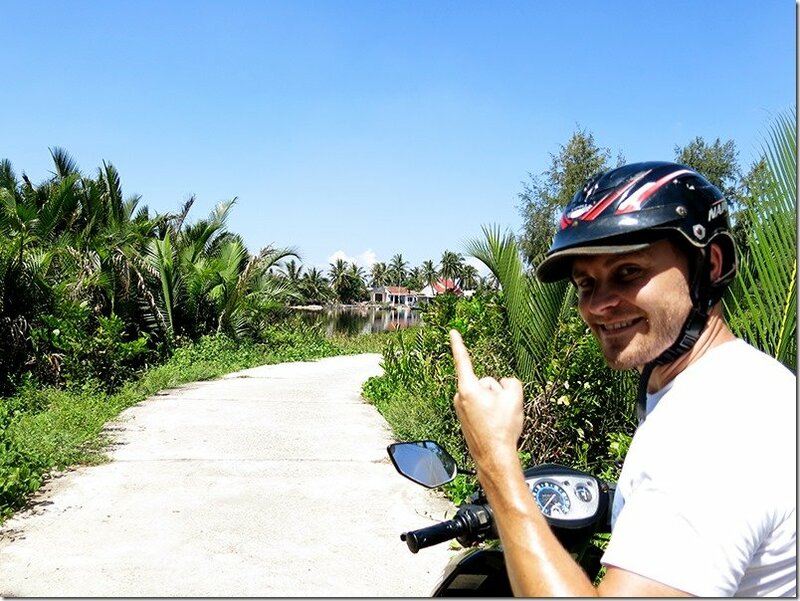 So we rented a scooter and decided to go and explore some random pathways in the Hoi An countryside! Watching the locals come and go; watching them work in mostly traditional methods. Villages well known for a certain trade, one for pottery, one for farming, one for carpentry …. Now keep that image in mind and come on a journey with us today. Hop on the back of our scooter so we can show you the way! In our previous post we took you on a visual journey through a lantern obsessed Ancient Town in Hoi An. An area of Hoi An which to us, whilst we absolutely loved our time there; felt like a tourist theme park! But here, a few kilometres away; here you can meet the locals and you can watch them work. Here is more authenticity and insights into their culture! The two main means of exploration here is either by cycling around Hoi An (the area is pretty flat) or by renting a scooter. Hoi An is damn hot!! I don’t think I have ever felt heat like I did in Hoi An! And whilst I had every intention of doing the popular choice of Hoi cycling adventures, we ended up opting for a scooter instead! The breeze was the only relief! People on their bicycles were absolutely drenched in sweat! I know we made the right choice! Apart from the choice of transport means you also need to decide if you would like to see these villages as part of a tour (there are so many people offering bicycle or scooter tours through these villages – see our list of recommended tours at the bottom of the post), or like us, take matters into your own hands and simply do it at your own pace! Visiting these villages on your own is incredible easy and straightforward, so really unless you love tours, don’t bother! Tra Que Village is probably the most recommended village to visit if you are limited with time. 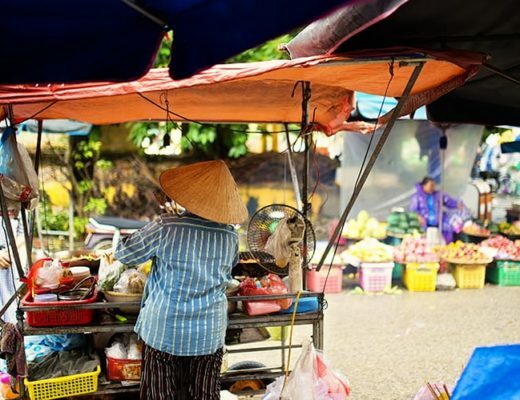 This village is on most travelers list of ‘what to do in Hoi An', however very few people realize how easy it is to visit this village on your own. The village is easily accessible by either bicycle or scooter. There are also plenty of tours that you can take that will take you through this village. 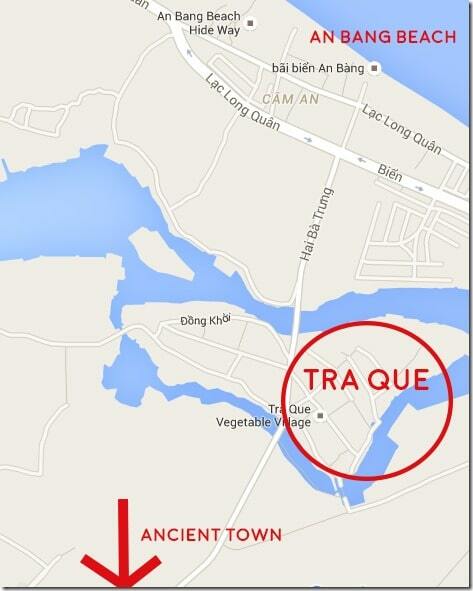 Entry to this village will cost you 20,000 VND each. Tra Que Herb and Vegetable Village comprises more than 200 households and covers around 40 ha, it truly is an interesting experience to see some traditional farming methods still in place! Seaweed from the local river is collected and used to fertilise the soil. Palm fronds are carefully placed over herbs and vegetables that require shade coverage. Talk about organic farming to the max!! Visitors are invited to join in planting and preparing the new crops, and as we went there by ourselves instead of as part of a larger group, both me and Andrzej had ample time in trying our hand at watering the crops whilst the farmer stood by with a smile on his face and a ciggie in his mouth! The process is pretty hard going and starts from installing a little pump in the local waterhole. Here you need to climb into the waterhole, bend down with the gear on your neck and fill both water cans until they are spilling over. Now I can tell you as a girl that standing back up with this weight requires some effort! And so does stepping back out of the hole. But we had a ball and went back to collect more water time after time again! Giggling away as we tried to get the rhythm of the water process going! Andrzej got the thumbs up for his watering services whilst I got a ‘you did okay’ haha! Andrzej collecting water from the waterhole! The water was so cool and a total delight from the insane heat of the day! It’s not every day that you pay an entrance fee and get told to work as well!! haha! At least you get to ‘guess the herb’ after all the hard work! And believe us in saying that they were packed full of flavour and oh so tasty!! We made the mistake of visiting this village midday, and with the insane heat you find in Hoi An, we had had enough of the sun (even though we went prepared with an umbrella for shade purposes), so headed off after our hard work in the fields! If you have more energy than us, or if you are smart enough to head here in the early morning, make sure to head over to the Water Wheel as well and why not try your hand at one of the cooking lessons as well. For us it was time to head off on our scooter, and enjoy a bit of breeze instead! Our Verdict: It is truly interesting to see the local farmers work away with such traditional and local farming methods! The fun part though is getting into the fields yourself! You can even sign up to be a farmer for an entire day if you are keen!! Make sure you pay this village a visit!! Now if you have a scooter, there are plenty of little roads you can take to simply explore more and more! On the map below you will see two circles, both of which areas we loved to explore! 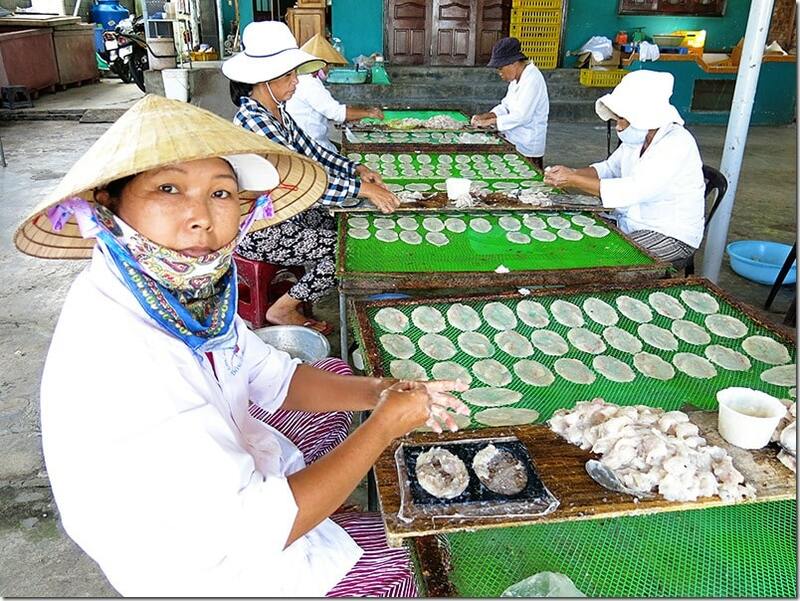 Here you will find locals going about their daily lives, fisherman busy with the fishing ponds, locals gathering seaweed for their farming plots, coconuts growing from coconut trees lining the tiny pathways and Vietnamese ladies prepare some local dried fish delicacies! Go and Explore!!! 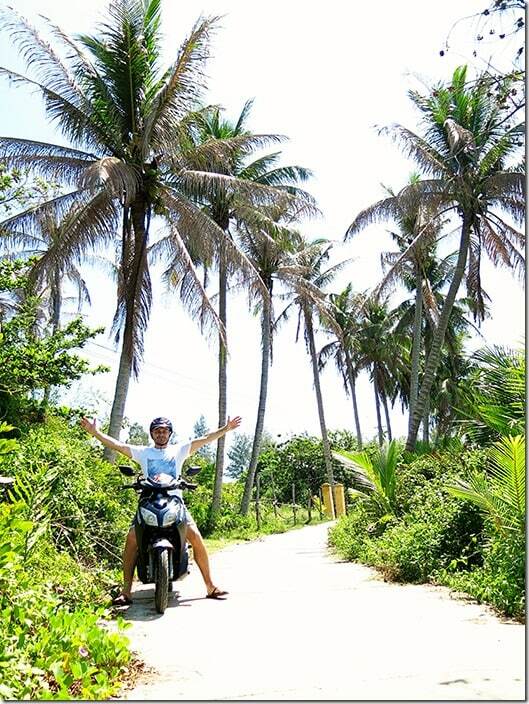 Gorgeous Palm Tree roads to explore and get lost on! Local Village ladies busy pulling apart and flattening out fish in these moulds. These are then placed outside to dry! It was smelling uhmmmm pretty fishy!!!! Would you like to see what is around this corner? Love these little roads that leads to who knows where!! 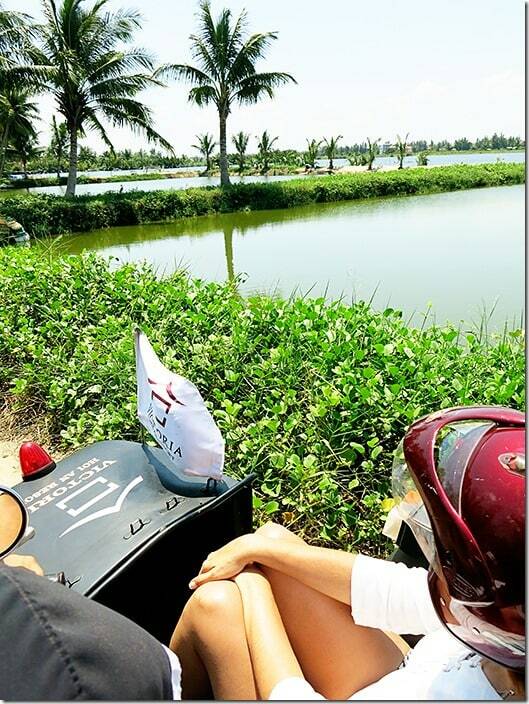 Exploring more countryside territory with the super fun classic Victoria Hoi An Sidecars!! Highly recommend them for some fun! Our verdict: We love exploring by ourselves, we love getting lost and in doing so finding the most interesting surprises and adventures! Go and hire a scooter and get yourself wonderfully lost in the countryside of Hoi An!! 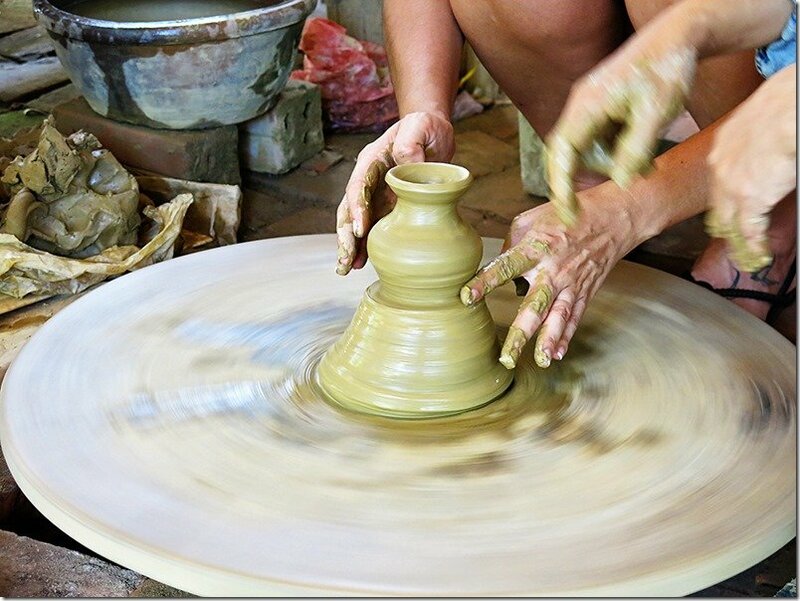 Thanh Ha Pottery Village is only around 4km away from Hoi An and easily accessible by both bicycle and scooter. 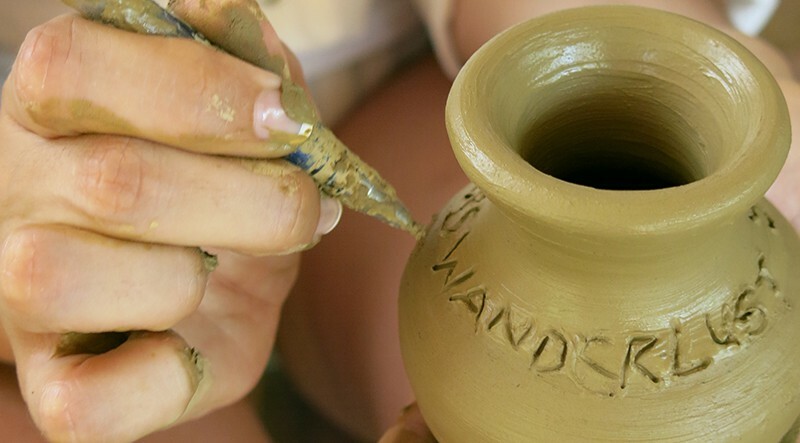 Take the road that runs next to the river to experience some local living styles! We loved the little hang out joints with groups of hammocks strung up between the palm trees next to the river! You will also pass by a fishing market place, and if you go early enough you might see the commotion and buzz here too! 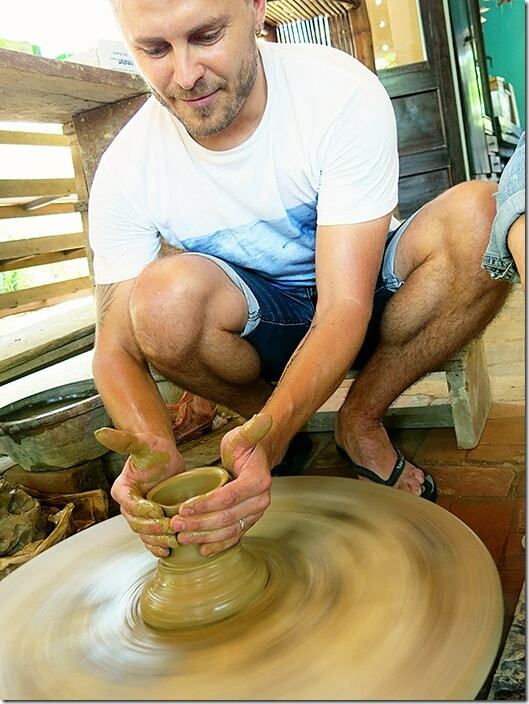 Trying my hand at pottery making, the local lady decided I had no idea what i was doing and helped me throughout the whole process haha!! 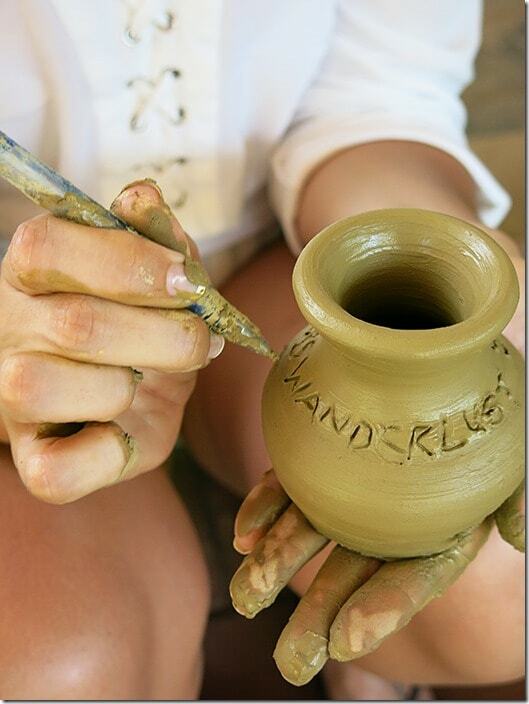 Two guesses as to what I inscribed on my gorgeous little pot! Andrzej was more adamant in making his pot by himself, so produced a very unique & slightly more wonky version of mine. In thanks for showing us how to make some pots we chose to support the family by purchasing one of their pottery items on show. We loved the sets of teapots and teacups, but ended up settling on a gorgeous vase instead. Our verdict: It makes for a gorgeous outing! Whilst it is definitely not a ‘must-do’ item to pop on the list, and it is mostly set up for tourist to learn about their way of life, we had fun and loved spending around 30 minutes here. 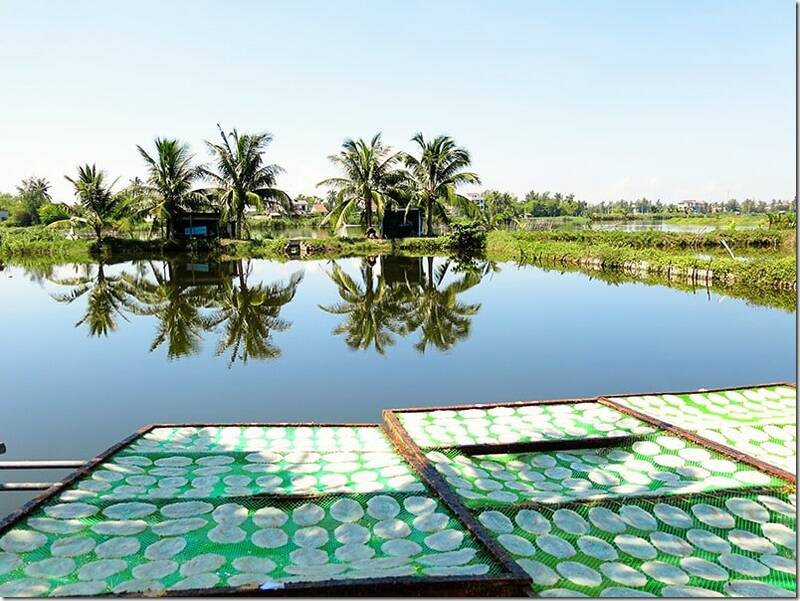 There are so much more to see and do and experience in the countryside of Hoi An!! So if you have the time, why not go and visit Kim Bong Carpentry Village where you can see traditional carpentry at work. 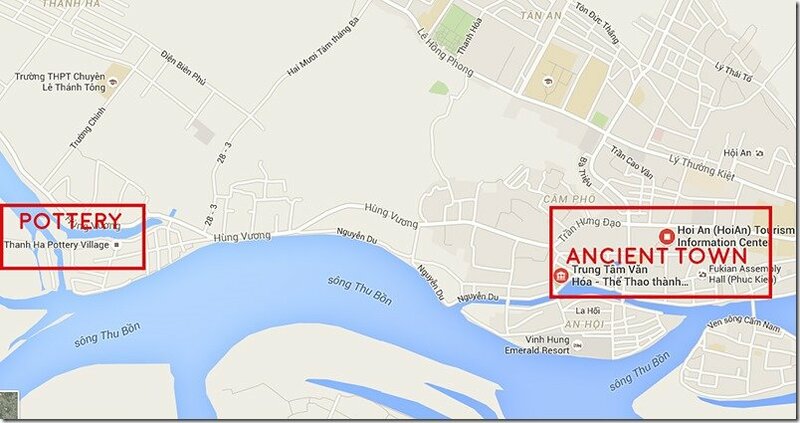 You can also visit another fishing village called Tra Nhieu Fishing Village as well as Duy Vinh Sleeping Mat Village. There is lots to see and lots to do and probably not enough time to do it all in. 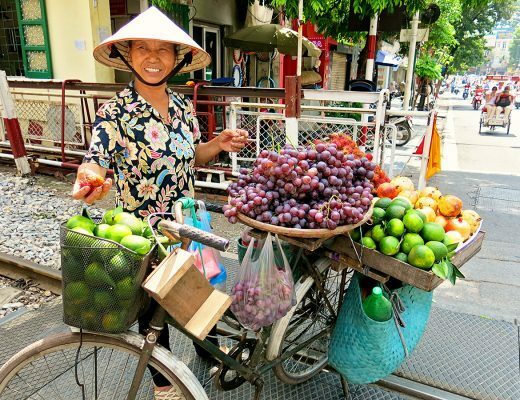 If you are somebody that prefers exploring via tours, why not look into some of the following recommended Hoi An Tours. With http://www.hoianfreetour.com/. Some different options, no catch with the word ‘free'. These tours are aimed at helping students improve their English skills! 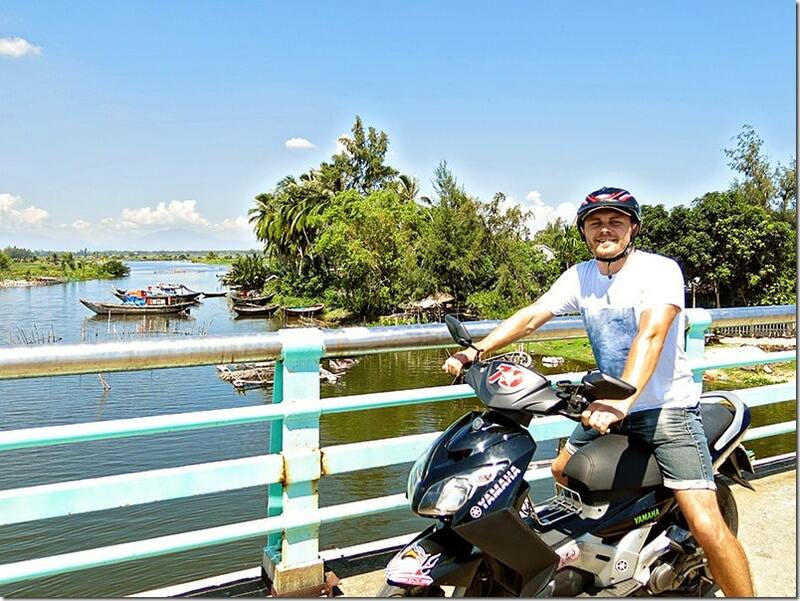 This tour includes a cycling tour of around 3- to 4-hour Hoi An countryside as well as a boat cruise down the majestic Thu Bon River. The Cam Kim Island Discovery Cycle Tour gives you the opportunity to learn more about the beautiful landscape of the rural areas of Vietnam. Flat easy road to cycle, length of journey around 15km. 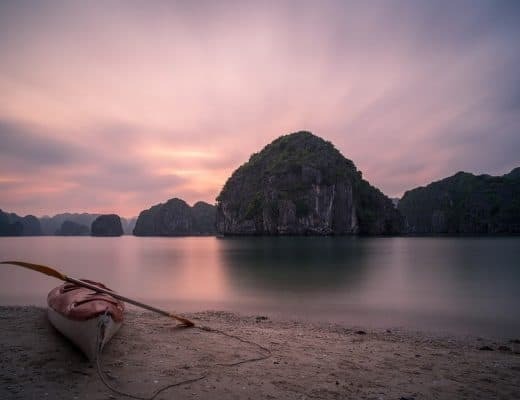 Enjoy this half day (4 hours) tour from Viator to learn more about the daily rituals and traditional customs that make life in a Vietnam fishing village so unique. You will get to paddle a basket boat with the help of locals and also learn to fish using age-old methods. 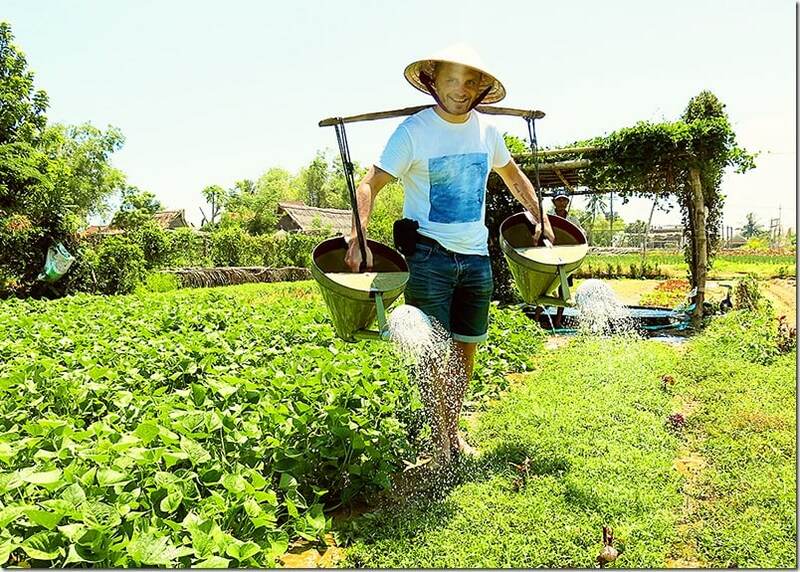 Experience life as a farmer in a small Vietnamese village and work the fields like a traditional farmer. If you are wondering about where to stay while you explore Hoi An, why not check our list of recommended Hoi An accommodation options here. Which of these Hoi An countryside villages appeal to you the most? Would you visit them by bicycle or scooter? And lastly do you love doing tours or doing things your own way? Check out the City of Lanterns, Hoi An. Did you do tommy tours too?